Psssssst!! Want a Sneak Peak at the NEW Catalog? | Midnight Crafting Midnight Crafting: Psssssst!! Want a Sneak Peak at the NEW Catalog? 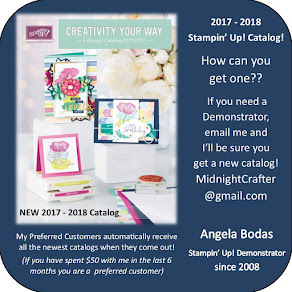 Do you want your NEW Stampin' Up! Catalog in June!!??? Demonstrators have the opportunity to receive the NEW (July 09) catalog with the first order we place in June!! I can't wait to see the NEW Crafty Goodness!!! Wheeeeee! Join my Stampin' Up! family for ONLY $75!! I would love to share a few of the things YOU can look forward to as a demonstrator! 3. 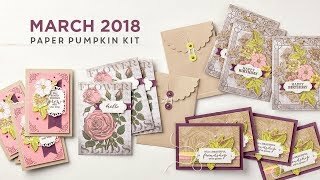 To enjoy an additional 20% discount on Demonstrator only preorders of stamps (that means 20% off PLUS your 20% instant income) - This is a Stampin' Up! 20 year anniversary special - I am not sure if it will continue into the next year. 6. To attend Stampin' Up! demonstrator events - Convention, Regionals, special events just for my direct recruits. 14. To enjoy tax benefits of owning your own business - wouldn't you love to write off film developing, travel for business, designer series papers, the BIG SHOT, and more? 17. To see the July 2009 Catalog First! 19. My support - I know I can help you reach whatever personal goals you set for yourself - whether you want to just enjoy the discount, dabble as little or as much as your time allows month to month or go for greatness. 20. The awesome opportunity to have fun, make new friends, and never pay full price again as demonstrator. I know that anything is possible when you are in control of your destiny.